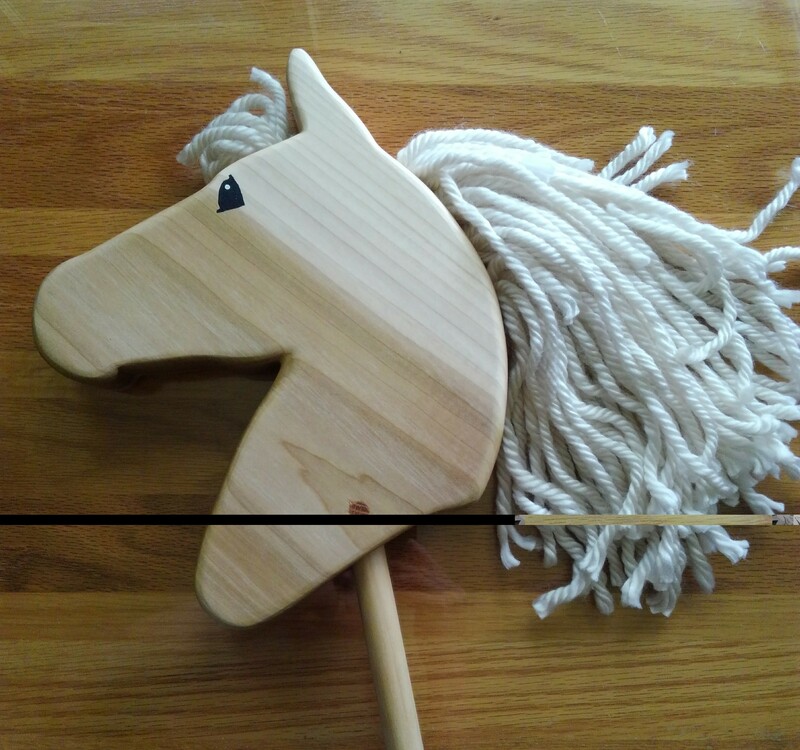 Have you seen a hobby horse competition? Wow! Competitive hobby horsing is so much fun! 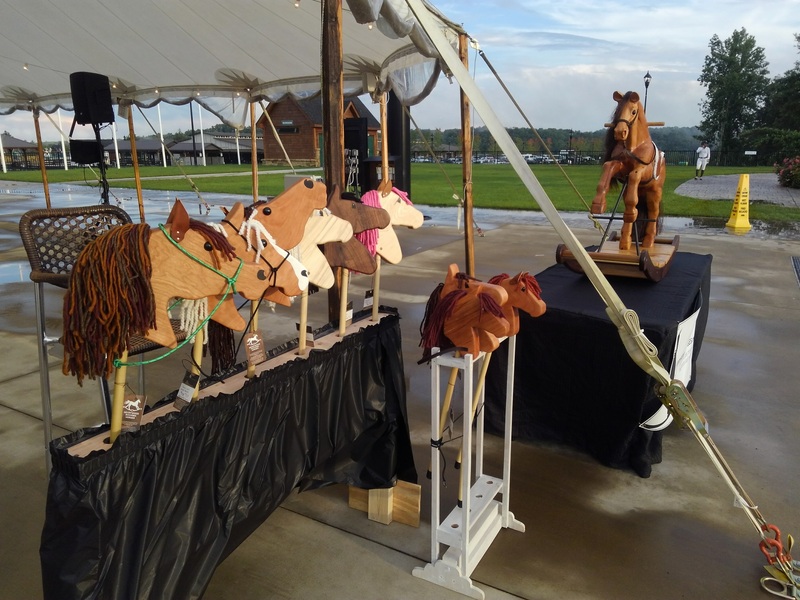 I was able to bring my hobby horses to the event at Tryon International Equestrian Center, and the hobby horse riders had a great time. 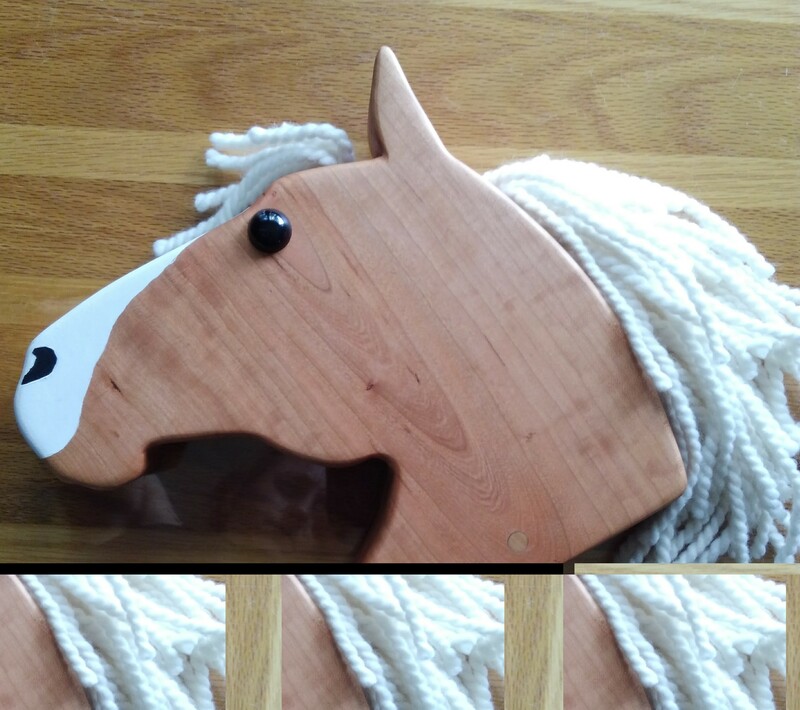 You can see some video of the hobby horsing on my Facebook Page on July 1st. 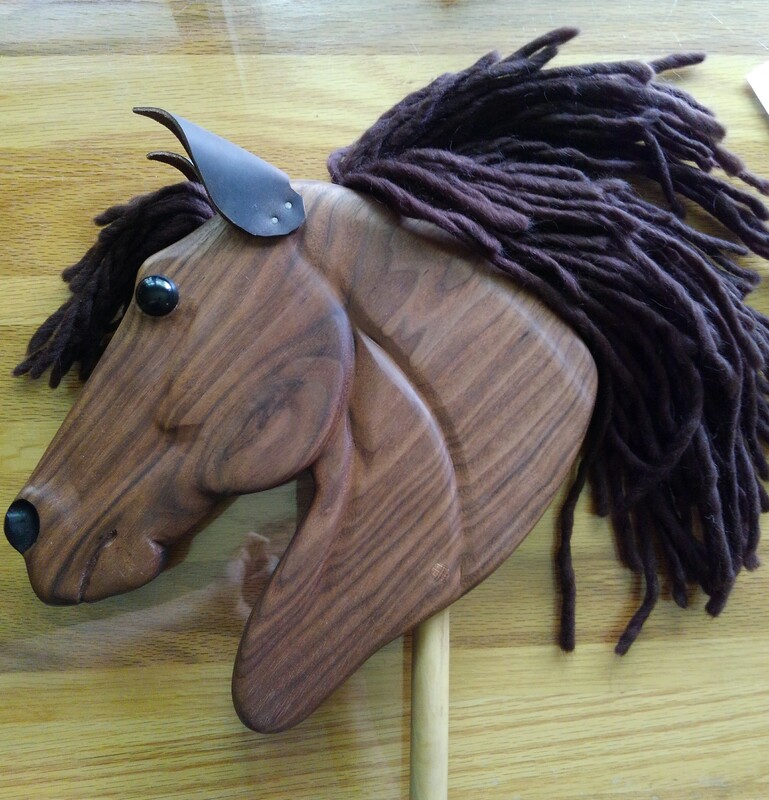 Several hand-made stick horses, or hobby horses, are available now. They include walnut, cherry, maple, oak, and poplar wood. Look below for the horses I have in stock. 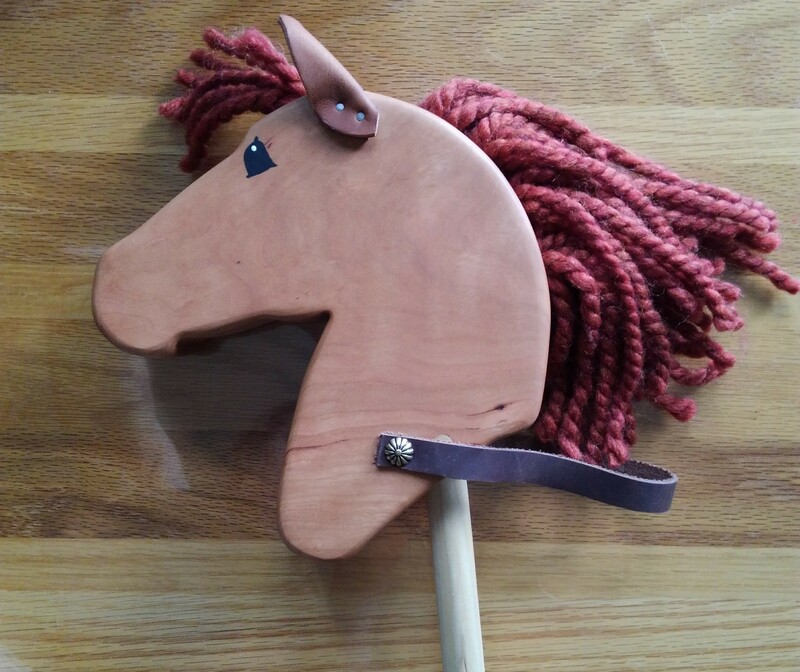 If you would like to learn how to make a simple rope bridle for any hobby horse, check out my video below. 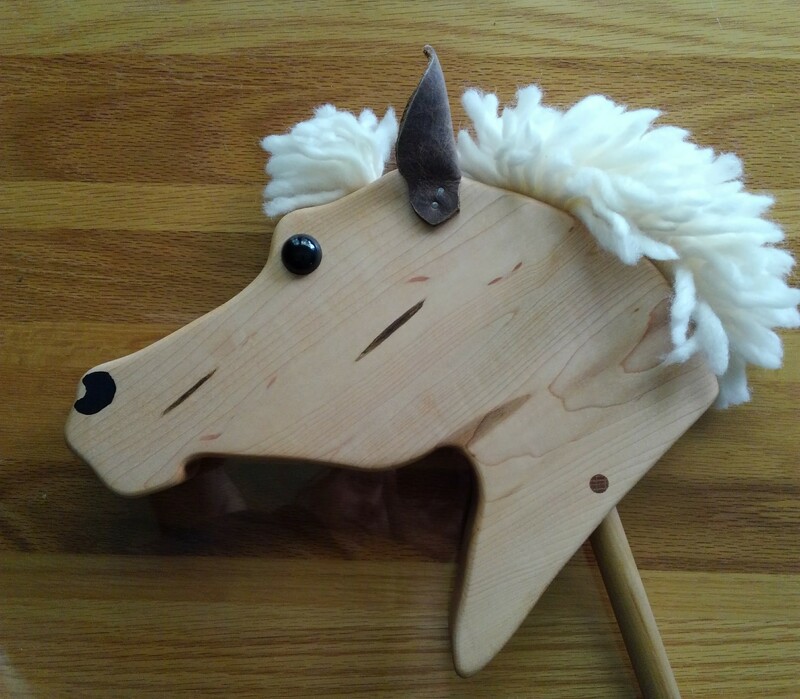 Hobby horses are also available in Asheville at the New Morning Gallery. 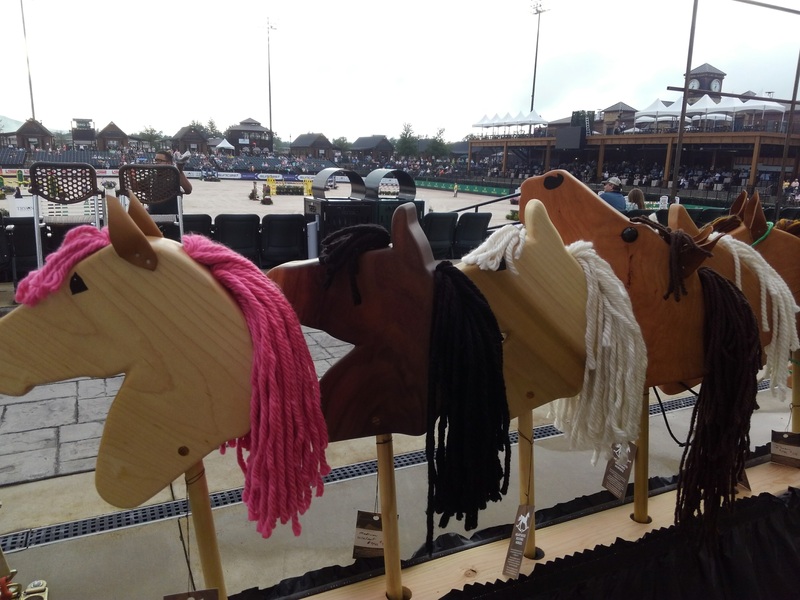 You can always place a custom order for the wood and size of your choice, or ask for a painted horse in custom colors or markings. 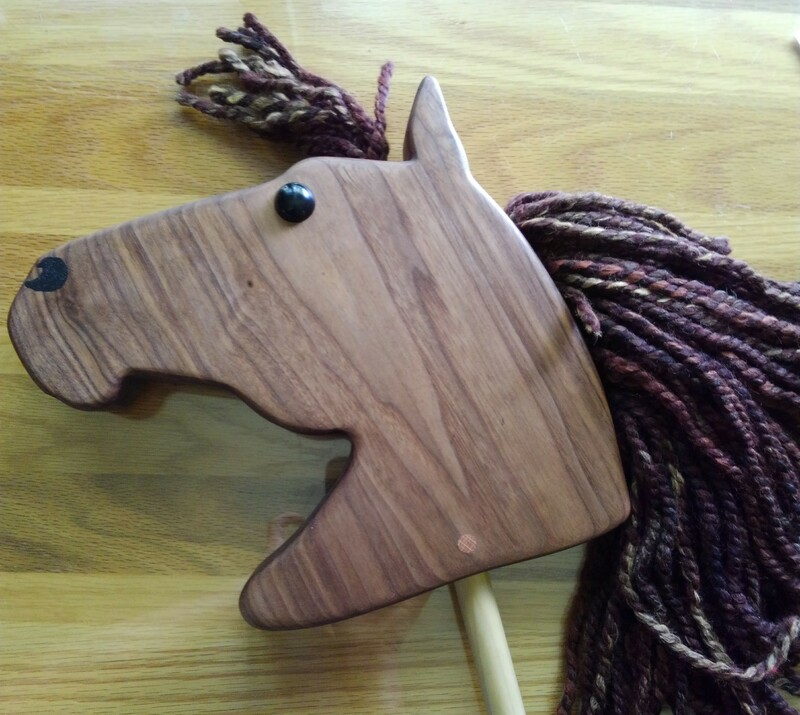 Yarn manes work great for hobby horses, but I also do horse hair manes. You can send me some of your horse’s mane or tail for a special keep sake! I use either plastic eyes or hand paint the eyes in non-toxic acrylics. Each horse is finished with all natural oil and wax. They measure about 30″ -35″, but you can request any size. The largest horse weighs about 3 lbs. Suitable for any age you deem ready to run with a stick! I can include a removable rope bridle, but remember that any removable rope object can become a choking hazard for very small children. Cost based on features and size. Small horse starts at $40, medium and large horses start at $60. Contact me with your custom order!